MobiKora s another android app to watch live matches, it's an android app therefore works only on android device. Other apps like this include mobdro and TvTap. This MobiKora latest version works on all android device with android 4.1 (Jellybean) and above. 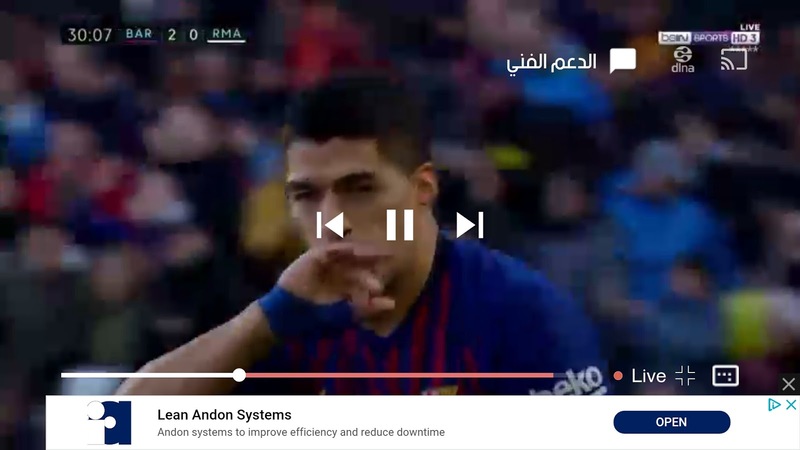 Although MobiKora Apk app is written in Arabic, it's very easy to navigate and watch Live matches. You can choose between different video quality unlike mobdro or TvTap that give you the highest picture quality by default. Open it and by default, you will see a list of all matches that will be played on that day alongside kickoff time. on MobiKora means Liverpool is at home and Chelsea is away. From the picture above, Barcelona is at home while Real Marid is away. 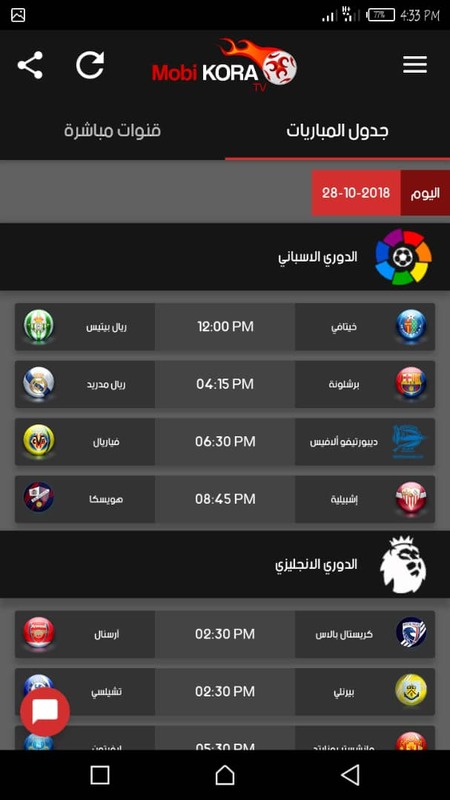 Tap on the time in between the two matches, you will automatically see the sports channel that will show the match (beIN sports 1 ,2, or 3hd...) Then click on it. After clicking on the sport channel, a list of video quality format will be listed out, all written in Arabic but you will see numbers n each line like 144, 240, 320, 480, 720... These are the video quality to choose from, 144 being the lowest video quality (consumes less data) and 720 or 1080 being the highest quality (very clear but consumes more data. So you can choose the he one you like according to ur preference. That's all , tap on the number and your live match will be displayed according to the video quality you have choosen.